Professional and dependable benefits. Any size of job is fine with them. All different repairs finished fast. Experienced and very pleasant staff. Free job quotes. They strive to keep your cost down. Your satisfaction is what matters. Is there a home improvement project in the works at your place? Need someone to install sheetrock? Or it could be there is a ceiling or wall that must get repaired and painted. 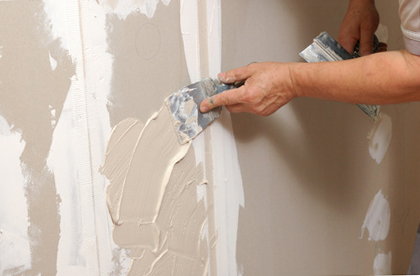 Some local companies specialize in drywall installations and repairs. While some of their jobs are new houses, the majority of their work is on existing properties, repairs and remodeling. A large number of their repair projects are resulting from either accidents, rough behavior or water damage. They are ready to work with anyone who has a building they want worked on. 1. Delivering the gypsum drywall sheets to the job site. 2. Installing the sheets to the ceiling or walls. 3. Cleanup and taking away project waste and unused product. 4. Taping the joint seams and applying joint compound to each seam and screw area. Once the surface areas are textured, they’re set for painting. Most property owners have them complete the entire job, from beginning to end, although some have them only complete a couple of those jobs. For example, some property owners want someone to just do the delivery, or only do the delivery and the primary installation part of the job, and let them finish the job some other time. Some people already have their sheetrock up, they just need someone to complete the taping and mudding and getting it ready to paint. Common sheetrock isn’t designed for high moisture areas, like showers and bath spaces, so they have a moisture-resistant board they will put in there. And they have a strong, solid backer board solution they use for walls where you plan to place tile. They’re flexible with what you need done. Holes get put into sheetrock during a Saturday night party, a Sunday afternoon football game, or by kids at pretty much anytime. A homeowner can try and deal with one or two little holes if those holes are not in any real prominent space. Minor holes or dents are remedied with a patch and a layer of joint compound. You shouldn’t be bothered or surprised if your first effort at a patch does not turn out amazing. It usually takes practice to make a patch appear seamless. Holes that are in your main public rooms should be taken care of by a pro. Pros have a good amount of experience patching and concealing past damage. When they are finishing up, they strive to make sure the new work has the similar finish and texturing as the old walls. Fixing an isolated individual hole or break. Getting one or two worn out or dented interior walls or ceiling repaired and all ready for repainting. Removing and updating water damaged sheetrock. Doing bigger scale removal and replacement of an entire room or even more. They will remedy one or two small issues, they can do big replacements, or anything in the middle. You may have a choice relating to the finish which goes on the new walls. Totally unfinished surface – merely taped, designed for non-finished work or storage areas or garage areas. Smooth surface finish – zero extra texture, all set for painting or wallpaper. Basic texture – provides some extra depth. Complicated texture – height and dimension added and is more challenging to do. Many individuals are not major fans of popcorn ceiling texture. You can have someone take it off and exchange it with a newer looking composition. Who to Choose in LA County? Talk to one on the list of top local commercial drywall companies. If they work on your project, they do their best so you like the results and the entire work process. They only use the top professional gear and safety tools to finish your job quick and safely. And the products they put into your property are top quality too. Having a person doing work in your house can get stressful. Your repair person understands. They will do what they can to make the routine as easy as possible for you. They will not leave you with a messy clean-up task when they’re all done. They collect up and cart away all the scrap materials and rubbish. They have experience carrying out all types of work assignments. 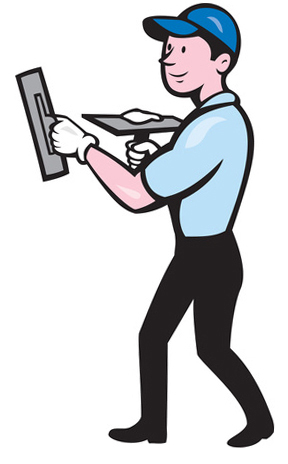 They work at individual homes, apartments and commercial buildings, and doing repairs and restorations. They handle jobs for commercial property managers and homeowners. Maybe they can manage your job. They will do their best to get you a good estimate. The ultimate price of a job can depend on several components, but the volume of materials and how many work hours it would take to complete the job are almost always the top two. They should be able to provide a estimate on the phone after they find out a bit about your prospective project. When your walls and ceiling are ready, they could paint them if you’d like them to. But if you want to do it yourself, or engage a professional painter to do it, that is okay too. Are They Working in Your Neighborhood? They can work at most properties around the city, including downtown Burbank, Wildwood Canyon Park, Toluca Lake, Toluca Woods, from Bob Hope Airport to Glendale to Universal City. Appointments are also available in the suburbs of Canoga Park, Encino, Lake Balboa, Reseda, Sherman Oaks, Studio City, Van Nuys, West Hills, Winnetka, Tarzana, Woodland Hills, Chatsworth, Pacoima, Panorama City, North Hills, North Hollywood, Northridge, San Fernando and Sun Valley. If your property is near downtown Burbank, Wildwood Canyon Park, Toluca Woods or Toluca Lake – they can help.